This is a nine-page graphic story of Kenny and Sandi’s attempt to save the home they had lived in for many years. Kenny’s aunt was one of the first African Americans to move into the neighborhood in the late 1950s. 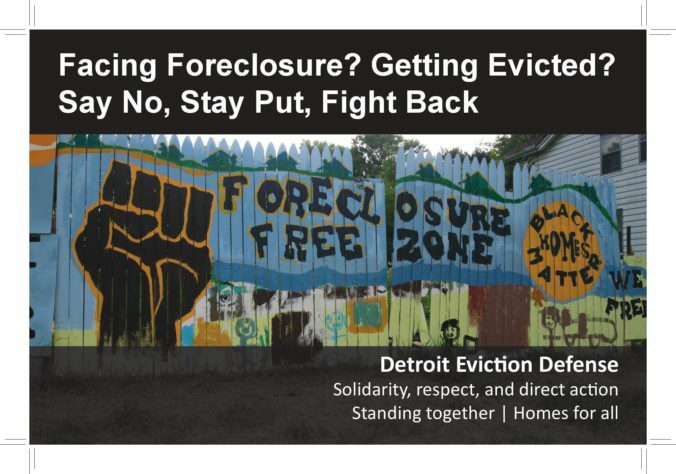 Eviction: A Story from Detroit was written by Jeffrey Wilson and Illustrated by Armin Ozdic.